"I'm going natural. 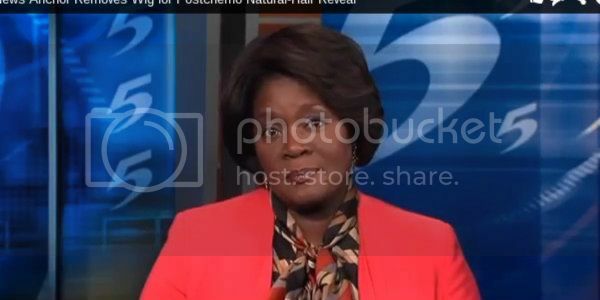 No more relaxers to straighten my hair," announced Pam McKelvy of WMC-TV during a broadcast, still wearing her wig and introducing a segment about women and their "crowns of glory," in which she discusses how recent chemotherapy treatments caused her to go bald. McKelvy then removed her wig, revealing her recently grown-in head of short, natural curls. "All right, this is it. This is my new hair," said the former beauty queen and 15-year TV news vet, tearing up as she thanked co-workers for being so supportive during her breast-cancer ordeal.